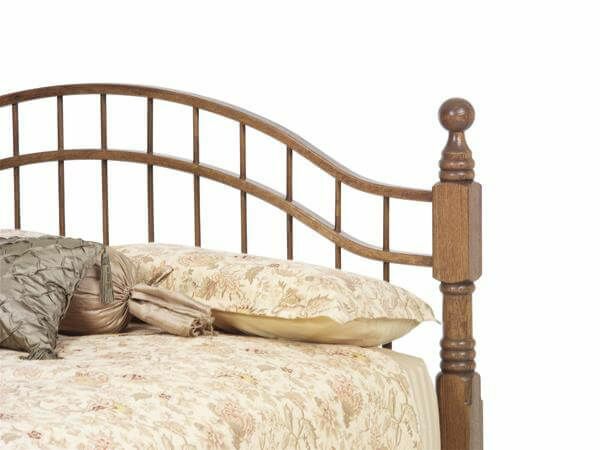 Our Cambridge Double Bow Bed is made entirely of solid hardwood by our expert Amish craftsmen then carefully hand-rubbed with your finish selection. 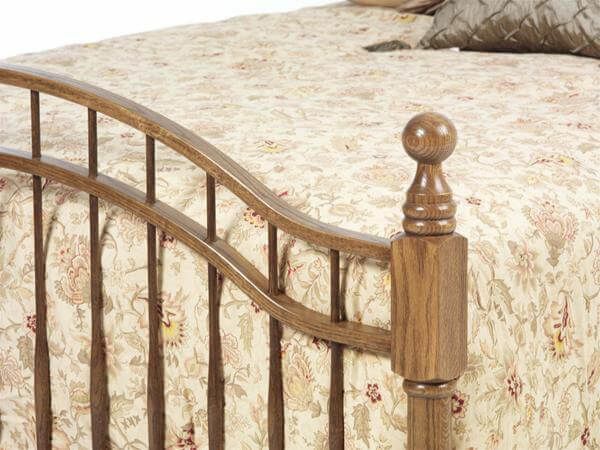 Solid hardwood construction meets durable, time-tested mortise and tenon joinery in our Cambridge spindle bed. 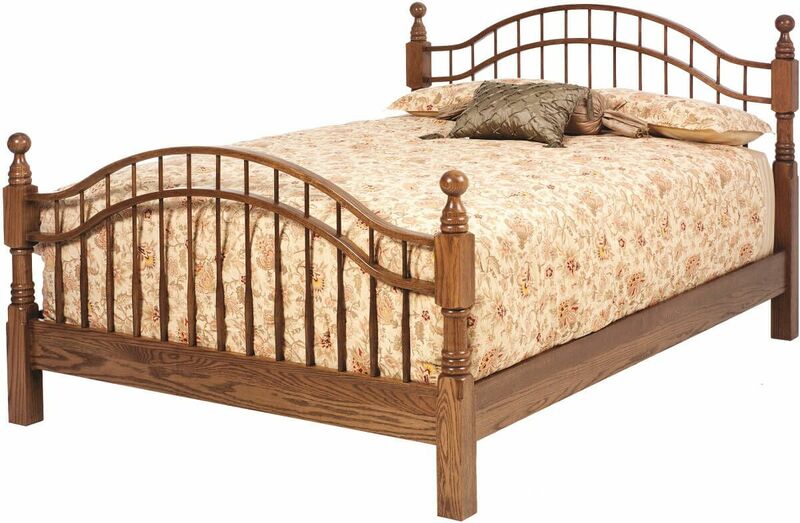 Additionally, each slat of this wooden bed is securely dovetailed into the side rails to prevent slat movement. Queen, King, and California King sized cannonball beds are constructed with center legs under the slats for added mattress support. Queen beds include a support leg under the two center slats while King sized beds boast a total of four center support legs. Choose to include the optional under bed storage unit with your purchase of the Cambridge Cannonball Bed. 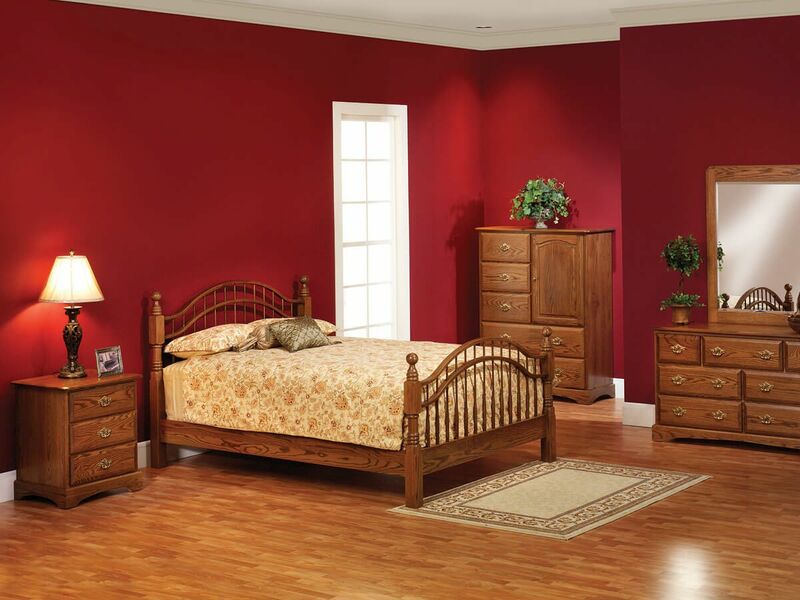 To obtain the featured look on your own solid wood spindle bed, choose Oak with our Sanibel finish.